Click here to print a coupon for a FREE bottle of Steaz Zero Calorie Organic Tea. Steaz can be found at participating Whole Foods Markets and other natural food stores. Click here to sign up for a Free sample of Breathe Right Strips (you will receive 2 strips).....Cold and Flu season is here so these may be just what you need to get a good nights rest!! Baja Fresh is offering $1.99 burritos tomorrow 10/31 from 2-8pm!! Click here and print the coupon from the Baja Fresh Facebook page.....as you must present it for this great deal!! Remember this coupon is valid tomorrow only!! I love...I mean love Bertucci's, in fact I was just there last week!! There pizza has to be the very best...well in my opinion, anyway. Well, just in case you too would like to visit them whether it be the first time or the 100th here is a printable coupon to take with you. Save $5 off any purchase of $25 or more. Coupon expires 12/31/2009. P.S.- Can't decide whether or not to take the kiddies with you...they do give them a nice big Blob of dough to play with in case you've never been!! It's gooey, and sticky and my kiddies love to play with it!! Today and tomorrow Toys R Us is having a Monster 2-Day Price Break Sale in-store. Shop late tonight from 3pm-11pm or early Saturday morning 10/31 from 8am-1pm. You can view the entire sale ad here. Save 50% off at Payless....Hurry Through Tomorrow ONLY!!!! Through tomorrow only, Friday 10/30/2009 print this coupon here and head on over to your local Payless Shoesource location......Save 50% off Everything in the store!!! You can thank Oprah for this great deal!! 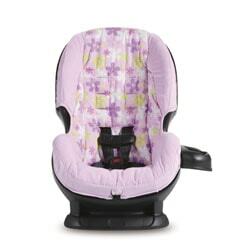 Looks like a simple, no frills, yet safe car seat at a very reasonable price!! Has some really great reviews too!! The average price on other sites looks to be $45 and up for this exact seat. Click here to sign up for a FREE sample of Tasters Choice Gourmet coffee singles. In your sample you will receive all 5 varieties. This Saturday 10/31/ 2009 (Halloween morning) be one of the first 100 people to enter your local Macy's store and receive a FREE $10 Macy's "Treat Card" or better known as a Gift card!!! There will also be The Coolest Costume Contest in the Kids Department at 11am, so bring the kiddies all decked out in their costumes if they'd like to participate. There will also be treat bags for the kiddies to decorate and take home to fill up with candy later that night!! Then head on over to the make-up counters for FREE face painting!! What better way to get in the Halloween mood first thing in the morning?? Halloween is fast approaching...and Bass Pro Shops would like to be part of your kiddies Halloween Fun!! They have fun, free events planned for both tomorrow and Saturday...check out the details below. Tomorrow, Friday 10/30 stop by your local Bass Pro Shops for Trick-or-Treating from 4-7pm. There will also be a costume parade throughout the store at 6pm. Be sure the kiddies dress in costume!! On Saturday (Halloween) from noon-4pm they will have mask decorating, marshmallow roasting, samples of yummy apple cobbler. Just something fun and free to do with the kiddies over this Holiday weekend. Well, that is if you have one!! LOL LOL Not to worry if you don't, all you need is alot of Aluminium Foil and you'll be all set!! 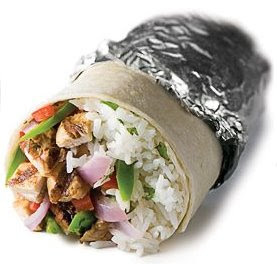 This coming Saturday 10/31, Halloween night from 6pm to close stop into any local Chipolte Restaurant dressed as a burrito, or something Chipolte-related (head of lettuce, bag of chips, avocado....and the list goes on) and you will receive a FREE burrito, order of tacos, bowl, or salad. It is Halloween after all....so why not join in on the costume fun and get rewarded for it with a free meal instead of the usual candy!! I am sure you kiddies will love your new look!! I love...I mean love Sweet Tomatoes. I visited one many, many years ago while on vacation and have yet to get a chance to go back!! So if you are lucky enough to have one nearby....take a few bites for me!! Mmmmm!!! Here is a printable coupon for a FREE adult meal when you purchase (1) adult meal and (2) beverages at regular menu price. Coupon expires 11/1/2009. Planning on taking the kids along to Sweet Tomatoes or Souplantation this Friday 10/30 or Saturday 10/31/2009? Well, they eat free both days if they come dressed up in costume! Limit one free kids meal per paying adult. Cannot be combined with coupon above. Head on over to your local Victoria's Secret now through November 15th for a FREE Bra fitting and you will receive a FREE Beauty Rush Lip Gloss....no purchase necessary. Be sure to take this printable coupon with you. The 4-Day sale at Shop Rite runs through this Saturday 10/31/2009. Here is a printable coupon for Buy 1 Glade Soy-based 2oz candle get 1 FREE (up to $3.49). Simply fill out the required form and then print your coupon right away. These are great to have on hand as the holidays approach...whether you yourself use them, or if you pop them into a gift basket you've made for someone you can never seem to have too many candles! Looking for a little Halloween fun for the kiddies this upcoming weekend? How about FREE Halloween fun this Saturday 10/31/2009. Michael's is hosting a Halloween in-store event from 10am-noon. Stop by for a FREE Trick or Treat pail, coloring fun, a make it take it frame craft, a Crayola pencil topper demo, candy, and a FREE balloon. You can view all the details here. To find a location near you that is participating in this and other events at Michaels' click here and enter your zip code. Have fun if you get to go!! How would your kiddies like to trick-or-treat during the day as well as in the evening on this coming Halloween? Well, then you may want to check out this!! This coming Saturday 10/31/2009, from noon-3pm Toys R Us is hosting Geoffrey’s Trick “R” Treat Parade. Bring the kiddies dressed in costume and they will receive FREE Goodies, a FREE reusable Bag, and they can participate in a parade around the store to have some fun showing off their costumes!! The freebies are only while supllies last...so best to get their a little early as to not miss out!! Been wanting to try the new Black Jack Taco at Taco Bell? Well, here is your chance to try and for FREE too!! This Saturday 10/31 (Halloween), after dark (6pm-12 midnight) head on over to your local Taco Bell and receive a FREE Black Jack Taco. No purchase necessary. Limit on per person. You can see all the details here. Hey....who said Halloween was just for the kiddies, anyway?? Heading on over to Bath & Body Works....well here is their newest printable coupon. Receive a FREE 3 oz. signature collection travel-size item (Up to $5) with any purchase. Coupon is valid through 11/18/09 and is valid both online and in-store. The holidays are fast approaching....so that means it's holiday picture time!! Looking for a great deal on nice photos of the kiddies? Here are some good ones for Target Portrait Studios and they do not expires until 1/2010...so plenty of time to use!! The coupons are good for a FREE 8x10 Print when you purchase a portrait package for just $8.99 or $3.99 sheets. The portrait package includes: an 8x10, (2) 5x7's, (4) 3 1/2 x 5's and 15 wallets. Plus.....there are NO sitting fees!! Yes, you read that right...Boston Market is offering you a real Chicken meal for just a $1!! Your $1 meal includes a quarter white or 3-piece dark chicken served with mashed potatoes and cornbread!!! All you have to do is enter your email address here and a coupon will be sent to your email inbox. Offer is valid now through November 1st, 2009. Thanks to Money Savings Mom for the heads up on this deal!! Have a bit of shopping to do at Rite Aid this week? There is a coupon here valid through Novemeber 4th, 2009. The amounts off vary by region, you may get a $3/15, $4/20, or $5/25 depending on your zip code. Know a Tinkerbell fan? Click here to print a coupon for $10 off Tinkerbell & The Lost Treasure Blu Ray DVD Combo Pack. The movie is being released tomorrow, 10/27. Looks to be about $21.99 at Toys R Us this week, minus the coupon and pay just $11.99 for it. Remember, the first week a movie comes out is usually when the price is a reduced a bit...so check around!! The coupon has a short expiration date.....and is only valid this week through 10/31/2009. Offer is valid in both the US and Canada. 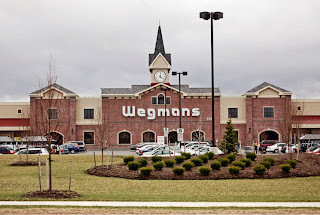 Wegmans 90% Lean Fresh Ground Beef (Club Pack) $1.99 lb. See any other great buys this week at Wegmans? Please leave a comment and share what you've found with us!! Know of any other great buys for this week at ShopRite? Please leave a comment and share what you've found! !